Innovating a new range of steel winery equipment, we have been satisfying wide requirements of our clients spread across the globe. Tested for quality, these equipment are in accordance with the industrial standards and are known for high functionality and other characteristics. Available with us is a range of steel winery equipment that is fabricated using the superior quality material. These are manufactured as per the specifications of our clients and have been appreciated for superior quality. 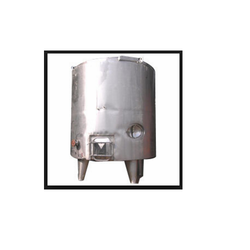 Looking for Steel Winery Equipment ?